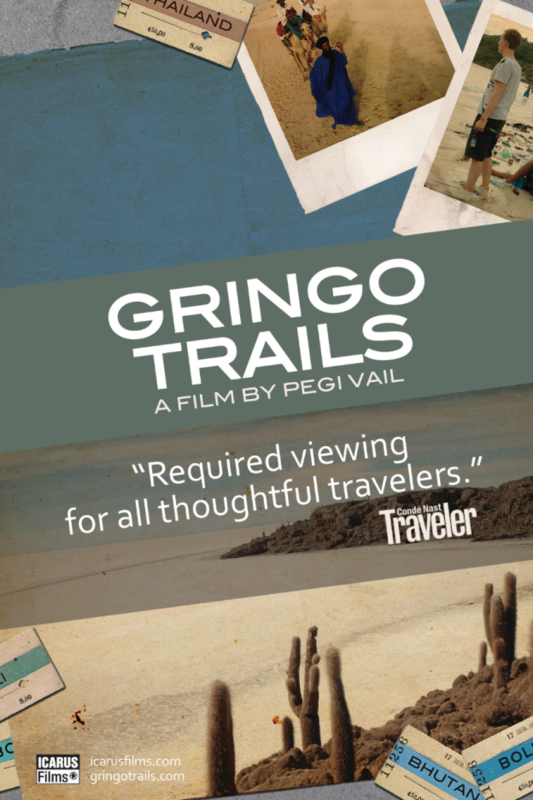 GRINGO TRAILS takes on one of the most powerful globalizing forces of our time: tourism. On May 9, director Pegi Vail and Melvin Estrella will be in house for a Q&A; on May 10, they will be joined by travel writer Anja Mutic. Spanning South America, Africa and Asia, the tourist pathway known as the “gringo trail” has facilitated both life-altering adventures and the despoiling of many once virgin environments. The film follows stories along the trail to reveal the complex relationships between colliding cultures: host countries hungry for financial security and the tourists who provide it in their quest for authentic experiences.